Are you and your significant other on the market for a honeymoon destination? It can get exhausting when trying to find the perfect romantic vacation spot, especially if you’re attempting to think outside the box and go somewhere new. Celebrities are always jet-setting to the most luxurious and gorgeous getaway destinations, so regardless of what you’re looking for, at least one of these spots is guaranteed to strike a chord with you and your partner! Frustrated with trying to plan your honeymoon? Don’t worry — check out the top five celebrity honeymoon destinations for ideas! Celebrity babies are on the brain! 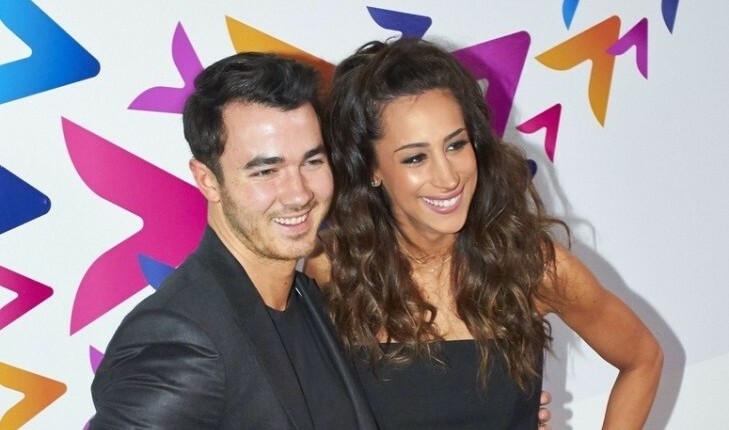 Kevin and Danielle Jonas are talking about going through another celebrity pregnancy and having another baby. The married celebrity couple are parents to a daughter, Alena Rose, who is 20 months old. In the latest celebrity news regarding the lovely pair, they stated that they are “always talking” about giving their daughter a sibling. According to People.com, this pair will celebrate their six year anniversary in December. This duo may have more celebrity baby news soon! How do you know if you’re ready to have another child? 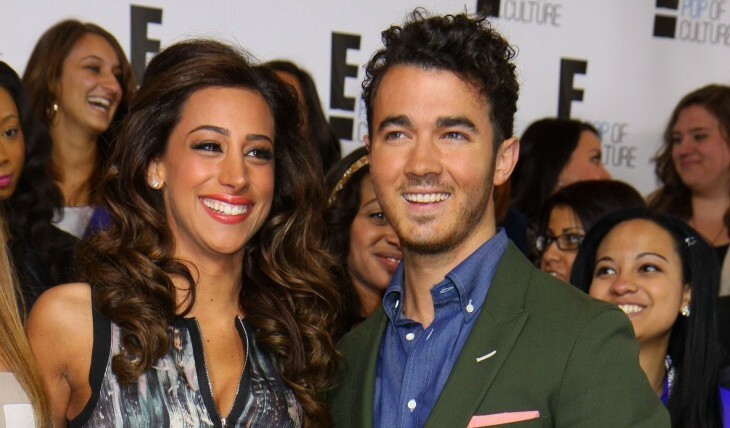 ‘Married to Jonas’ Star Danielle Jonas Dishes on Motherhood! …On the edge of your seat? Click here to keep reading! Congratulations to the new parents, Married to Jonas stars, Kevin Jonas and wife Danielle! The two welcomed a daughter on Sunday, February 2nd. According to People, the first time parents are reportedly “overjoyed” about the new addition to their family and want to shout it to the world.The lovebirds have never been shy about sharing their pregnancy experience and were happy to keep fans updated about their journey through social media, as they believe it is something you should celebrate and not hide. What are some ways to prepare your relationship for your first child? The Jonas Brothers will soon be adding another member to their pop group as Danielle Jonas is expecting! The wife to the Married with Jonas reality star Kevin Jonas debuted her mini baby bump at the Teen Choice Awards this past Sunday. Clad in a short yellow flowered frock, the 25-year-old mom to be was glowing. The couple announced the pregnancy in July when the excited future father tweeted, “It’s true — Danielle is pregnant! Can’t even imagine how excited we are. I can’t wait to share this with my best friend. I love you baby,” according to UsMagazine.com. How do you show off a baby bump in a tasteful manner? What are some ways to to include family/friends in your pre-baby excitement? A rep for the Married with Jonas stars confirmed to UsMagazine.com that the happy couple are expecting their first child together. During a chat with E! News Tuesday, July 9, the singer said, “I was overjoyed. It’s been the most exciting thing in my life so far.” The duo met in 2007 while vacationing at the Bahamas and tied the knot two years later at Oheka Castle in New York’s Long Island. What are some ways to prepare your relationship for parenthood? …On the edge of your seat? Click here fore more. Kevin Jonas and his wife Danielle are feeling parenthood pressure. In a clip from Married to Jonas, which premieres August 19 on E!, Jonas says his family is pressuring them to have kids. 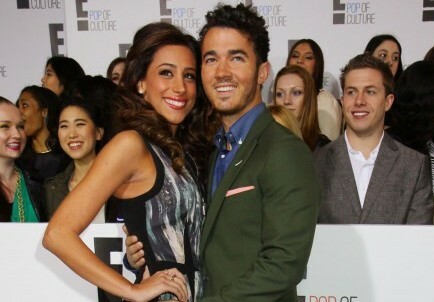 According to People, Kevin and Danielle married in 2009 and don’t plan on starting a family anytime soon. How do you know when your relationship is ready to have a child? This past Sunday marked the first wedding anniversary of pop star Kevin Jonas, and his wife Danielle. The couple celebrated their anniversary by visiting Walt Disney World’s Magic Kingdom in Florida. Jonas had some kind words to say for the occasion. “Happy anniversary to my amazing wife of a year and for the rest of my life I love you,” he wrote on Twitter. After a magical day at the theme park, the Jonases stayed in the Cinderella Castle Suite. What are some unique first anniversary celebration ideas?